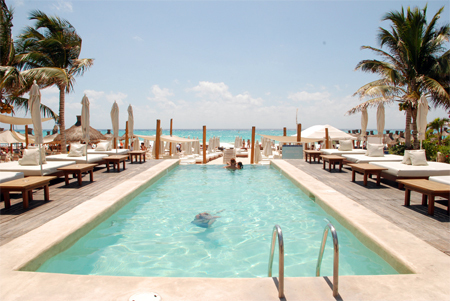 Canibal Royal is the most recent Playa del Carmen beach club and has a good selection of lounge chairs and hammocks. With Brasilian inspired architecture from the 1950s, Canibal Royal is not only a trendy place to spend a relaxing day at the beach, it is also the perfect spot to enjoy incredible ocean views and cool electronic beats accompanied by national and international Djs. Canibal�s delicious restaurant is headed by Chief Executive Chef Hug0 Orozco and offers a wide variety of Caribbean and international fusion cuisine. 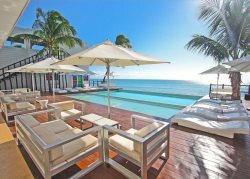 Playacar beach is the private beach for the condos, villas and hotels in Playcar. 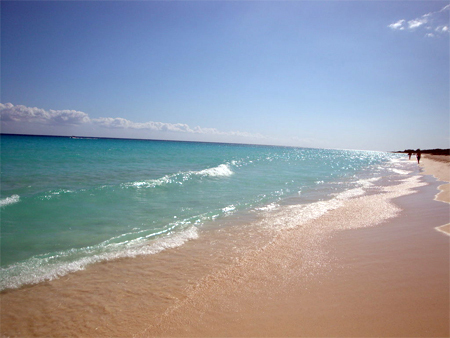 The soft white sand and warm turquoise water make a very inviting and enjoyable day at the beach. Location: South of the Cozumel ferry terminal to the end of the hotel zone. 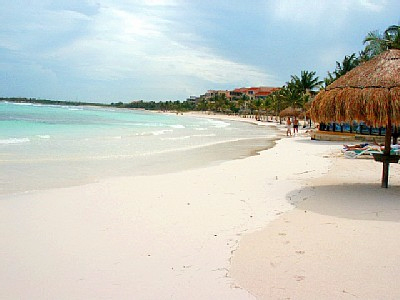 The beaches of Tulum are some of the most beautiful in the world. There are miles of powdery white sand. 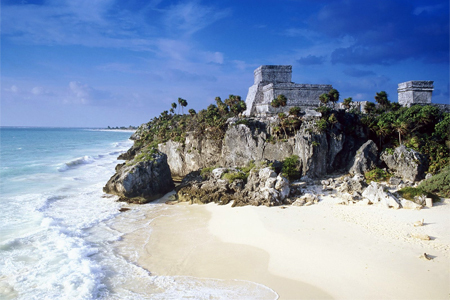 Visit this beach along with the Tulum ruins, one of the most scenic ancient Maya archeological sites. Enjoy a picnic lunch at the beach, a refreshing swim in 2 cenotes (fresh water sink holes) and a tour of the Maya city of Tulum. 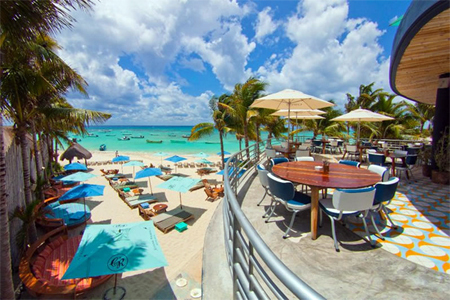 Zenzi Beach Club, Sports Bar and Restaurant has everything you could want for a great day or evening in Playa del Carmen. Bright Sunshine, the turquoise Caribbean Sea, gentle ocean breezes, International and Mexican Cuisine, live music, and a friendly relaxed atmosphere on one of the world's greatest beaches. And if that isn't enough, how about watching your favorite sporting event while enjoying the view. 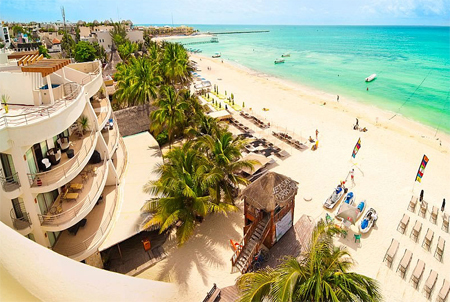 For those staying in the north part of town, Coco Beach is the closet beach running from Constituyentes Street up to the Grand Coco Bay Hotel on 48th Street. It's also home to the Kool and Canibal Royal Beach Clubs. The beach is lined with soft white sand, hardly any rocks, and the water is warm and turquoise. 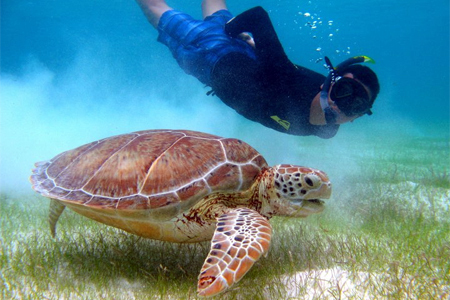 The Chunzubul Reef sits just off shore and is a perfect place to snorkel.